There’s nothing like a paper that has a good age behind it. But old paper doesn’t necessarily mean number of years it’s been around, it also refers to the history. For example, here’s a sampling of paper that’s been around for a while, written on Lokta Paper circa 1887. Definitely an age to the paper, and it might be difficult today to find paper to use for writing that was made in the 1880’s. What many people search for when seeking an “old paper” is a paper that has a history behind it, a process that is old, even thousands of years old. Lokta Paper making is a tradition that spans back over a thousand years in Nepal. 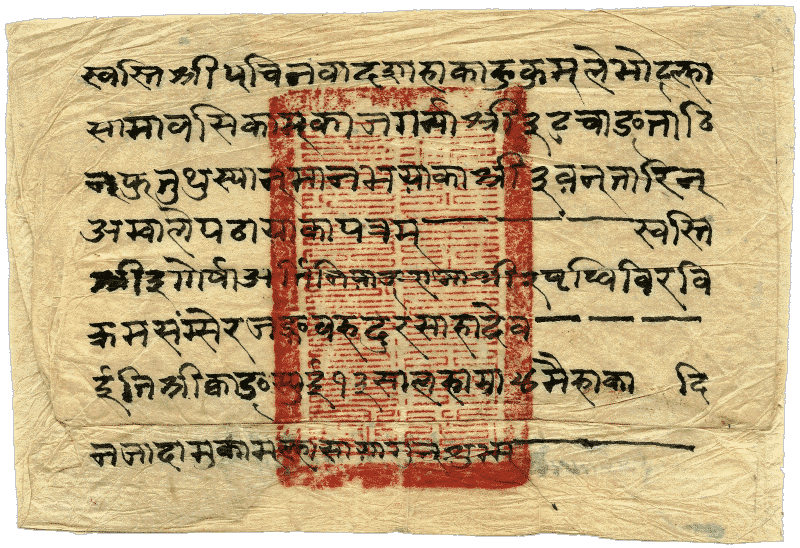 The oldest surviving Lokta paper example is on display in Nepal’s National Archives in Kathmandu. It is a copy of the Karanya Buha Sutra, a Buddhist text and it is estimated to be between 1,000 and 1,900 years old. (See Wikipedia, Lokta Paper). 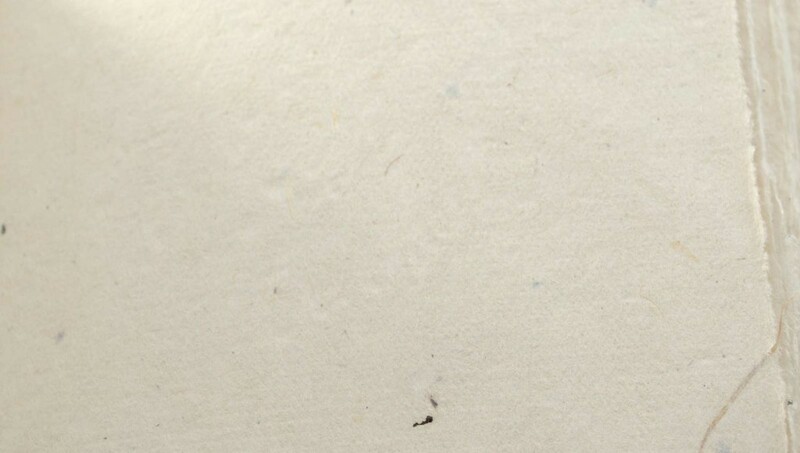 Lokta paper is made from the Lokta bush which grows in the high altitudes of the Himalayan mountains of Nepal between 5,250 and 13,000 feet (1,600-4,000 meters). The paper is made from cuttings of the Lokta bush which are cooked into a mash and then carefully hand-applied to boxed screens and sun dried. The paper retains some of the flecks of the outer bark of the Lokta bush and has a texture where the light imprint of the drying screen can still be felt as well as the fibrous texture of the paper which some have described as feeling like cloth. The tradition of Lokta paper is very different from other papers today which are treated with bleach and are mass-produced. Lokta paper is then carried down the mountainous regions of Nepal on the backs of pack animals and eventually arrives in the capital of Kathmandu where it is made into our rustic journals. We are proud that our paper has a sense of age to it, but not just due to the feel, but also the history. Old paper doesn’t need to be old, but it should last. Lokta paper is acid-free, isn’t treated with bleach, and is naturally resistant to mold/mildew and even tearing compared to other papers due to the fibrous nature of the paper.